Do you know the mattress that is on your bed contains a collection of dust mites, stains, skin cells, and a variety of other material? Adding a mattress pad and sheets only delays the inevitable, as you will need to clean it at some point. This is something you sleep on every night and cleaning it will ensure you sleep on something that is not full of filth. Mattress cleaning is easy to do if you use a few easy methods. A quick once over of the surface of your mattress with a vacuum is a simple way to remove any debris like crumbs from a late night snack. This will also remove any dust, pet hair, and dirt that has been collecting over time. 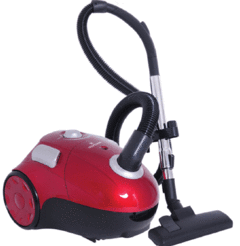 Any type of vacuum can be used. You can even use a shop vac if that is all you have. Any liquid that spills on a mattress can easily cause a stain. 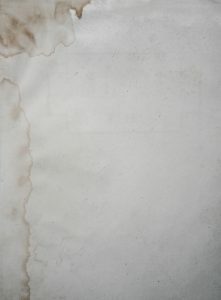 The type of stain on the fabric will require a specific product or cleaning method to remove it. Many stains on a mattress might be the result of your sweat, blood, or urine. These are protein based stains that can be hard to remove. Try a few options and see what works. A homemade cleaner can be used to remove stains on your mattress. Just mix baking soda, a liquid dish soap, and hydrogen peroxide in a spray bottle. Spray the stained area and then blot gently using a clean cloth. Be careful not to rub the stain as it may make it worse. Many natural enzyme cleaners are available to treat stains that are non-toxic. A good product you may want to use is Simple Solution. Another option is Simple Green. Both of these products will help to get rid of any stains and odors. Another homemade cleaner to use for mattress cleaning is a mixture of salt and lemon juice. Mix them into a paste to apply on a mattress stain. Blot with a white towel after 30 to 60 minutes. The best product that you can use for a deodorizer is baking soda. Simply sprinkle some on any stains that are on your mattress and wait a good three hours. The baking soda will absorb any liquids that have spilled on the mattress. Just make sure you vacuum the mattress thoroughly. A mattress will spend most if its life inside a bedroom. If you have treated it with liquid cleaners, you can move it outside to dry out in the fresh air. The best part is you will also have a great perfect get rid of any bacteria on the mattress too. Something you can also do if you take a mattress outside is to beat the dust out. This is done by hitting it with a broom on one side and then on the other. You may be surprised at the amount of dust that you will remove. Hitting it to remove dust is also the best option for mattress cleaning if you do not have a vacuum handy. A super easy way to protect the surface of your mattress is to cover it with a mattress cover. These are easy to use and the best part is they can be thrown in the wash. Another option for covering up a mattress is to add a pillow top or a feather top mattress topper. A rented steam cleaner can be used to steam clean a mattress. Just make sure it has an attachment that you can use. Some steam cleaners may have a mattress tool or an attachment for upholstery. The best way to steam clean is to use short bursts so you do not soak the fabric. This is a great way to help lift out stains that are ground in. Hot steam will also kill any bed bugs. Once you are done, it needs to dry out naturally. Every home with children is almost certain to have an occasional incident of bed-wetting. With some children, this is a real problem, an ongoing problem that may last for years. In cases where this becomes a real concern, the advice of a physician may offer solutions. But any child, even an adult, when ill or from extreme exhaustion, may have an accident. Pets too, have been known to be a bit naughty from time to time. Sometimes, excitement alone can make a dog, especially a puppy, lose control and inadvertently soil a mattress with pee. And Mattresses are wonderfully absorbent, not only soaking the pee into their depths, but retaining it, and the accompanying and every-growing odor along with it. However, getting rid of that smell isn’t as hard as many believe. There’s no need to throw out that old mattress. But stains and odors as well do set in quickly as the urine dries, so it’s important to act fast whenever possible. Urine is basically composed of crystals of uric acid, and in order to remove these crystals from the mattress, the best solution is to use a biological laundry detergent that is enzyme-based and has been developed precisely to treat urine stains caused by pets, but the pets’ urine and the urine of humans are in reality no different. 1. A dry towel or paper towels may be used to lightly blot up any excess urine before it soaks into the material. Following this, you should remove all the blankets and sheets, and at the same time, avoid rubbing the stain, because this may only push more urine down into the mattress making it even more difficult to remove. 2. Sprinkle plenty of baking soda onto the area. This will help to absorb any remaining moisture, and at the same time, baking soda is well-known for helping to neutralize odors. 3.Using a biological washing powder such as Persil Bio, and water or, if the smell of vinegar doesn’t bother you, make up a fifty-fifty mixture of white vinegar and warm water, you’ll be ready to begin the next step. 4.Using a spray bottle, spray your solution onto the stained area and let it soak in for three to five minutes. When using a commercial stain remover, it’s always important to follow the manufacturer’s instructions for the best results. And protective gloves should be worn as well, as many are allergic to some of the ingredients found in cleaning products. It is important, too, not to use too much cleaning fluid on the stain. Just enough to offset the amount of urine that has soaked into the mattress is the right amount. When this is done, the mattress should be left to air dry. 5.Later, you should begin anew blotting up any remaining moisture and in this way, it should be possible to get rid of any lingering urine and help to prevent mold. It is important that you get the mattress as dry as possible. 6.Once again you should sprinkle baking soda over the mattress, but this time, the entire mattress should be sprinkled. This will help to eliminate any lingering odors as well and help to dry out any moisture that still remains. If possible, you should make arrangements for the person to sleep elsewhere for the night and allow the mattress uncovered for at least eighteen hours if at all possible. 7.The following day, vacuum up any baking soda and, if possible, prop the mattress up outside, or in a well-ventilated area to permit air to circulate freely about the mattress and hopefully remove any final hint of lingering odors. To treat ongoing problems, today’s offerings of waterproof protection are a far cry from those of yesterday. Sealed protectors can be used for pillows and mattresses as well. These not only protect the mattresses but help protect children from dust, bacteria, and many allergens. These are available with zippers or buttons and promise breathable fibers that, while protecting from moisture, allow the mattress to breathe. With these words in mind, it is to be hoped that you and your entire family may sleep better tonight. If you are not sure of what option to use, the best thing to do is start with the easiest first. You can then move on to another method to see if you get better results. Simply Special Bedding, Proudly powered by WordPress.